The LPN exam creates a variety of questions for test-takers. Before you do NCLEX PN study guide practice questions and review this list of the 10 most common questions practical nurse candidates have about the LPN test and the PN nursing profession. What does LPN stand for? LPN stands for Licensed Practical Nurse. The LPN exam is for Practical Nurse Licensure which allows candidates to practice as practical nurse as a practical nurse in hospitals and other medical facilities. What is an LPN? The LPN exam is a medical professional that takes care of patients while under the supervision of registered nurses and doctors. LPN’s do not have the training or qualifications that are needed to oversee anesthesia or execute surgery. As a result, they have to work under RN’s and doctors. LPN’s have a wide range of responsibilities that are determined by the needs of doctors, nurses and patients. What does the LPN do? An LPN is a good way to start your nursing career. The LPN works on essential care of the patients, such as keeping detailed accurate records of patients’ health, checking vital signs like blood pressure and temperature, reporting the condition of patients to doctors and registered nurses and administering basic care and personal hygiene of patients by activities like dressing and bathing them. Where do LPN’s work? Licensed Practical Nurses work under the direction of doctors, surgeons and registered nurses. Therefore, LPN’s can work wherever a licensed doctor or nurse is certified to work. LPN’s may work in nursing care facilities, for example, old homes and orphanages. Many hospitals view LPN’s as an invaluable asset for a smooth and effective running of the institution. Offices of physicians and assisted living facilities also require LPN’s for additional support. Most importantly, LPN’s are needed for essential care in private homes of patients that are on bed rest or post-surgery recovery. How can I become an LPN? A licensure is offered to candidates that pass the LPN exam. Candidates may enroll in an accredited LPN training program that usually offers courses like pharmacology, nursing and biology and complete supervised clinical training. After this, candidates may sit for NCLEX-PN exam. Passing the PN exam is necessary for becoming an LPN in the US. What if I fail the NCLEX-PN exam? If you fail the NCLEX-PN exam, you can re-take it on a later date. According to the Board Rule 400-2-.05 Examination and Re-Examination (Amended), candidates may sit for a re-take of the LPN test after a waiting of at least forty-five days. Once the waiting period of 45 days is over, candidates may register for the appropriate test date and take the test one more time. What is the difference between an LPN and a BSN? BSN or Bachelors of Science in Nursing is a 4-year education program. BSN holders take up responsibilities like assistant directors of nursing, or work in consulting with research labs, pharmaceutical companies, or insurance firms. BSN’s have training in communication, leadership and critical thinking. In a hierarchy, BSN holders are above LPN’s. What is the difference between an LPN and an RN? An RN is a registered nurse with a 4-year nursing program and a Bachelor of Science degree or an equivalent. An RN has more responsibilities and supervises an LPN. An RN can take independent decisions, which an LPN cannot. RN’s are paid more than LPN’s. 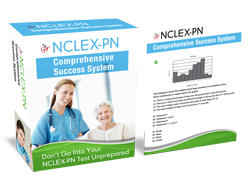 You can become an RN after passing the NCLEX-RN exam whereas to become an LPN you need to pass the NCLEX-PN exam. How can an LPN become an RN? LPN’s may take a bridge program for becoming an RN. The bridge program trains LPN’s to be eligible for taking the NCLEX-RN exam, a licensure examination for registered nurses. Depending on your course credits from your LPN exam, you can improve from LPN to RN in 18 months. Most classes can be taken live and in state-of-the-art Live Online classroom, with some sessions requiring the candidate’s physical presence in a classroom setting. What are the salary differences between LPN, RN and BSN? The mean salary of LPN’s is the lowest among the three, with BSN’s earning more than LPN’s and RN’s earning the most. As of May 2013, the average annual salary of an LPN is $42,000. The average annual salary for an RN is $81,000 while an average BSN earns $70,000 per year.